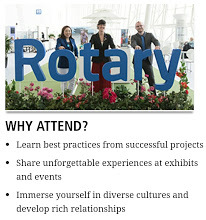 Have Fun and WANT to see your Rotary club members because you miss them when you don't. Rotary Fellowships are independent, social groups that share a common passion. Being part of a fellowship is a fun way to make friends around the world. How do I join a fellowship? Fellowships are open to Rotarians, family members, and program participants and alumni. You can contact a fellowship directly by using the information listed in the Rotary Fellowships directory. Or search our discussion groups to find Rotary and Rotaract members with similar interests. How do I form a fellowship? Start by finding others who share you interest. Join a discussion group or start a new one. It's a great way to share your interest with other members. Use Rotary’s presence on Facebook, Twitter, and LinkedIn to promote your idea. 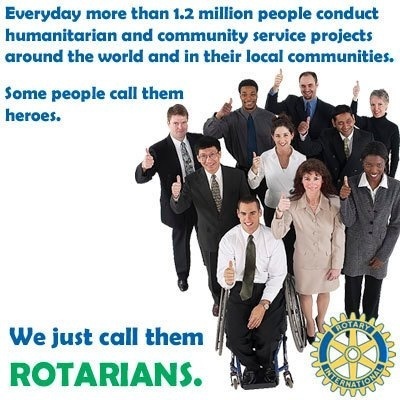 Ask your district Rotary Fellowships chair for assistance. 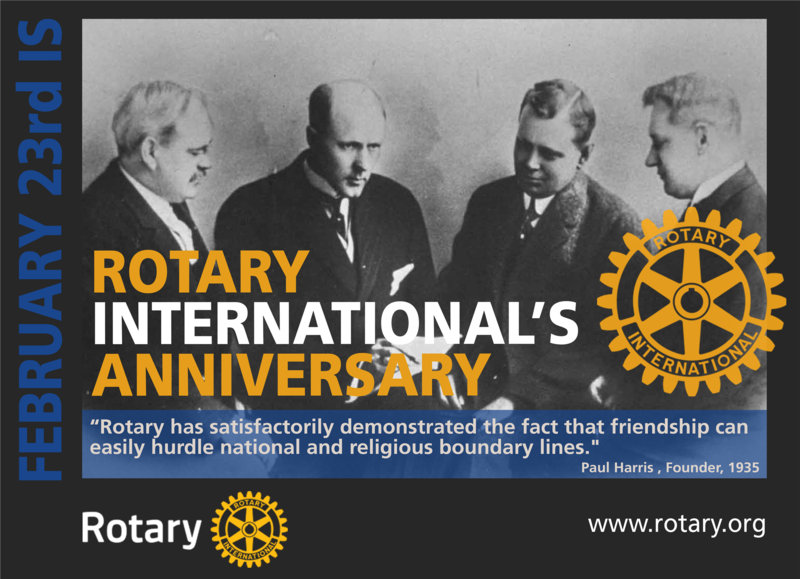 Reach out to district Rotary Fellowships chairs in other countries to build membership by emailing us. Be sure you meet the criteria for a fellowship and apply for official recognition. Interested in a particular subject? Visit the group's website or email it to learn more. Bianca is a native of Milwaukee whose passion is to assist in making positive changes within the city of Milwaukee. She is a recent graduate of the WI Women's Network Policy Institute and Emerge WI 2017. Activist - Advocate - Facilitator - Hard Working Woman and she will bring her daughter with her to meet us. She also works on intergenerational women's dialogues, launching My Sister's Keeper: An Intergenerational Dialogue of Black Women in 2017. Daniele is originally from Italy! He loves volunteering and you can always count on him to be at our Amigos Rotary Service activities and events. Come learn more about Daniele and his personal and professional journey from Italy to Milwaukee. Luca Bovalino had this to say about Daniele - "I had the opportunity to work very closely with Daniele for about 4 years. Daniele has been responsible for several critical and important projects directly impacting the final results of the business. He is one of the most talented performers I have met in my life and among the first 10 Top Worldwide Expert within the Battery Industry. It has been my pleasure to work with him since he is not only very precise and committed but also brings, in a proactive way, a lot of fresh ideas to the Team. He is totally motivated to execute the best performance!" John Nyakoe Nyasani - John was born and raised in Eldoret Kenya, East Africa. At 13 he knew he wanted to come to the United States and study. He vividly remembers being a child in his village and the community set up a screen and showed a movie....the first time anyone in their village saw a movie. One scene had a locomotive come straight at the audience and he recalls everyone moving out of the way. It was his introduction to technology that has remained through today. His father is a retired Agriculturalist and is a farmer. His mother owns a boutique and sells clothes. They were strong examples of curiosity, work ethic, and determination for John. They also own a tea farm in Kenya. John emigrated to Minneapolis, MN at 17 years of age. 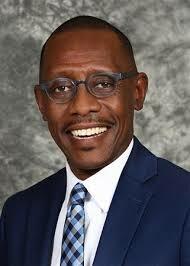 He is married to Cassandra (from Milwaukee and why we are fortunate to have him in our community. He is the father of Jordan and Candyce and has lived in Milwaukee since 2010. 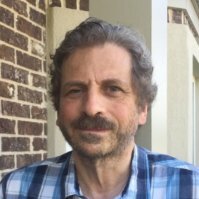 Currently he is the IS Business Automation Specialist / Health Reports Coordinator with the Wisconsin Department of Health Services. John is very engaging and passionate about life and his faith. 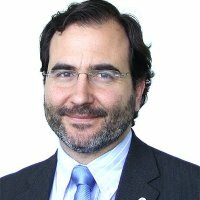 Gustavo de Arriba - Gustavo is originally from Spain and has been the Director of Global Quality for Johnson Controls since April 2017 but came to Milwaukee with Johnson Controls in May 2016. He has worked for Johnson Controls for 18 years and came to Milwaukee after working in Germany since 2009. He loves being challenged and getting outside of his comfort zone. He changed his professional field of work for the challenge. He is learning Mandarin after being proficient in Spanish, English, and German and has basic French and Italian as well. He is an Industrial Engineer with his MBA. He's been married since 2000 and the couple have 5 children. Gustavo loves rugby, has run 4 marathons and hopes to begin training to do his first US marathon in Chicago. Gustavo is another wonderful conversationalist and like John, can talk about many topics and interests.